Dextra Lighting offers Co-op most cost-effective energy-saving solution compared to competitors. Dextra Lighting’s design for Coop’s new store in Llanishen, South Wales, shows how simple it can be to make incredible savings in retail lighting. 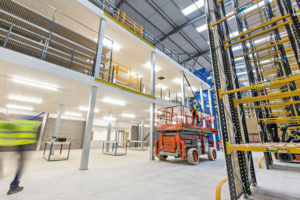 The new system uses a third of the luminaries compared to designs proposed by competitors and makes the most of the latest high-efficiency LED sources to maximise ROIs for the group. 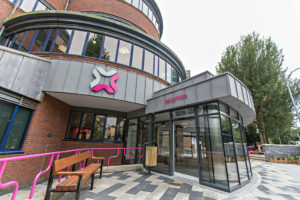 The Cooperative Group is one of the largest and most successful cooperative businesses worldwide. 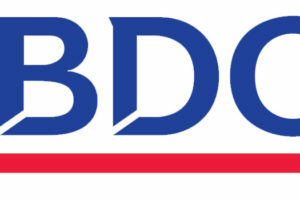 It is currently the UK’s largest mutual business, with a retail presence in every UK postal area. 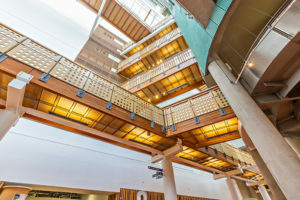 With growing concern over climate change and rising energy prices, the group has made sustainability a top priority, receiving several international certifications for its robust environmental framework. 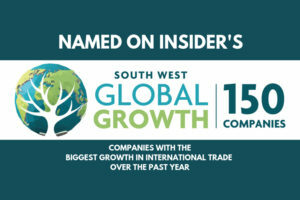 This approach has helped boost the company’s commercial growth by reducing overheads; creating value for customers and shareholders whilst maintaining a green and ethically sound business model. The commercial case for LED in the retail sector has never been stronger. Today, LED leads the way in energy efficiency, reliability and performance and with the market explosion driving innovation, this technology has become more sophisticated and adaptable, satisfying the exacting demands of modern retail outlets. As a result, designers can now create green, cost-effective and attractive solutions to make stores more profitable, without limitations on light quality, power or functionality. In addition to offering a typical 60% reduction in energy consumption compared to fluorescent lighting, the long-life and reliability of high-quality LED sources allow fit-and-forget luminaries to save thousands of pounds in future servicing costs as frequent lamp changes are no longer need to maintain a stable lumen output over time. The absence of mercury, UV radiation and glass also makes LEDs ideal for illuminating areas where food is handled or stored. By lowering energy consumption companies not only boost their green credentials but can also reap the financial benefits of improving their position in the government’s Carbon Reduction Commitment (CRC) league table. 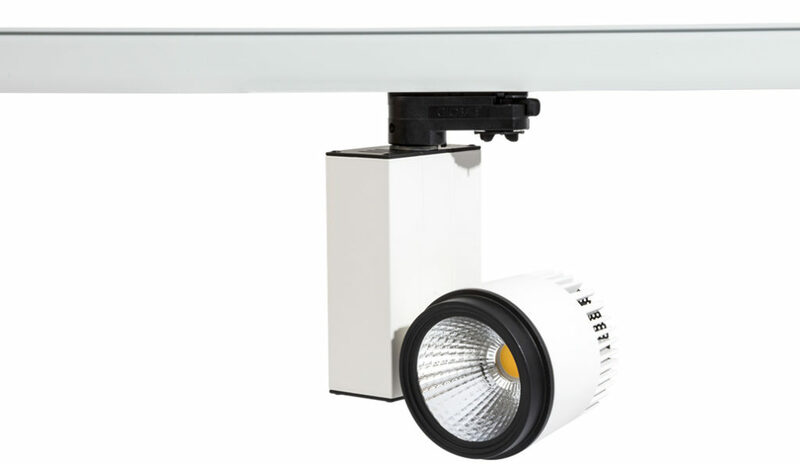 Balance energy-efficiency with high Lux levels and superb light quality. 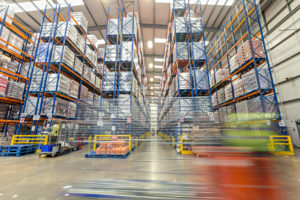 In terms of energy-efficiency, supermarkets and food stores generally need to consider their long opening hours in order to optimise the lighting’s payback rate. This applies to both front and back of house areas. LED is the most simple and immediate way to generate savings throughout the day by drastically cutting electricity and maintenance bills compared to conventional fluorescent lighting. 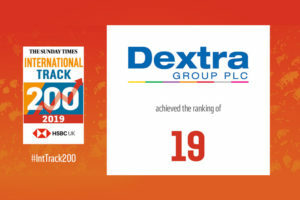 With Dextra Group’s LED products using LM80-verified Lumileds LEDs with 90% lumen maintenance at 60,000 operating hours, installations are guaranteed to incur minimal maintenance costs throughout their lifetime. High Lux levels and uniformity of light are also essential to maximise visibility of products and aid sales. Lighting on the shop floor should also be able to balance visual clarity with comfort, creating a pleasant and inviting shopping experience for customers whilst also boosting staff productivity. 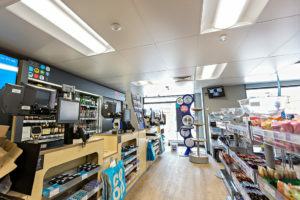 In the case of the Llanishen-based store, a light level of 1000 Lux was required on the shop floor and glare had to be reduced to a comfortable level. 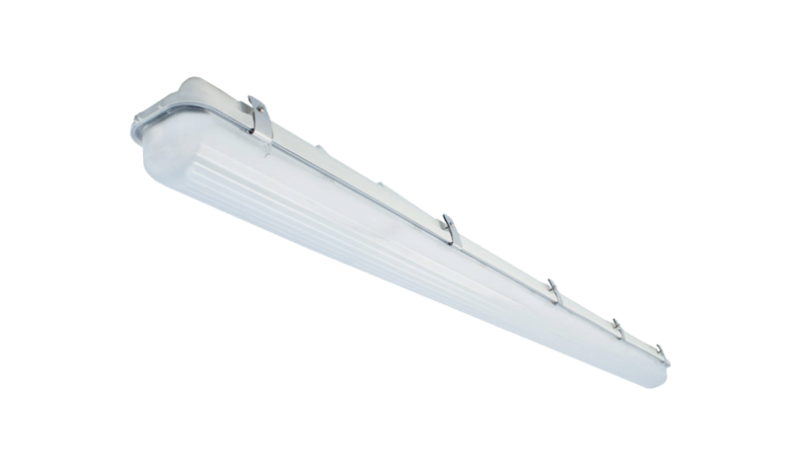 In the storage areas where the risk of light impact is greater and dirt accumulates quicker, luminaires would require suitable IP-rated protection for a durable and hassle-free solution. For the back office, the lighting design would follow BSEN 12464, L2 and ECA guidelines using compliant luminaires. The Graduate LED recessed luminaire was used as primary lighting for the entire shop floor. 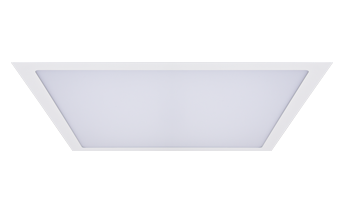 The versatile luminaire is highly customisable, offering a wide range of lumen outputs across 3 body sizes, recessed and semi-recessed versions and pull-up or lay-in housings for increased ceiling compatibility. 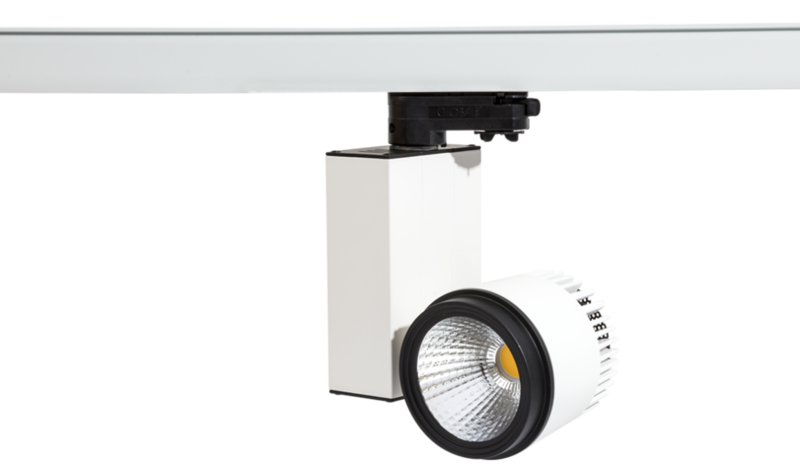 An adjustable centre optic also offers added flexibility to achieve the most efficient light distribution wherever installed. For this project, the Graduate was supplied in a 7132 luminaire lumen package in both a 600 x 600mm and 1200 x 600mm body to integrate with the store’s ceiling and layout, whilst achieving the 1000 Lux required for the area. At this output, and with the aid of the latest Lumileds LEDs, prismatic opal extruded diffuser and efficient aluminium gull-wing reflectors, the installation was designed using the minimum number of luminaires without compromising on light intensity and overall uniformity. The Hi-Track LED spotlights were used to add directional accent lighting in certain areas of the shop floor requiring a boost in light levels and to highlight specific products. The Hi-Track is extremely well suited to the varied applications of modern retail environments. The luminaire is supplied with a 3 circuit adaptor and rotary dial which allows individual luminaries to be switched on or off and moved to various positions along the length of the track. Hi-track fuses durability with an attractive contemporary style. Its highly efficient faceted aluminium reflectors offer optimum lighting control for accurate display lighting equally suited to supermarkets or specialised retail spaces. The key to office lighting is to maintain a balance between effective task illumination and visual comfort. To aid the prolonged use of computers and other VDUs, glare levels need to be kept to a minimum without compromising visibility. 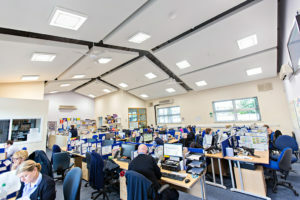 With high-transmission panels offering up to 93% transmission of its efficient Lumileds LEDs, the MODLED Slim recessed luminaire achieved the recommended 400lx for office areas and was supplied in a BSEN 12464 compliant 3500lm version to reduce glare below the 3000 candelas per square metre above 65 degree limit. 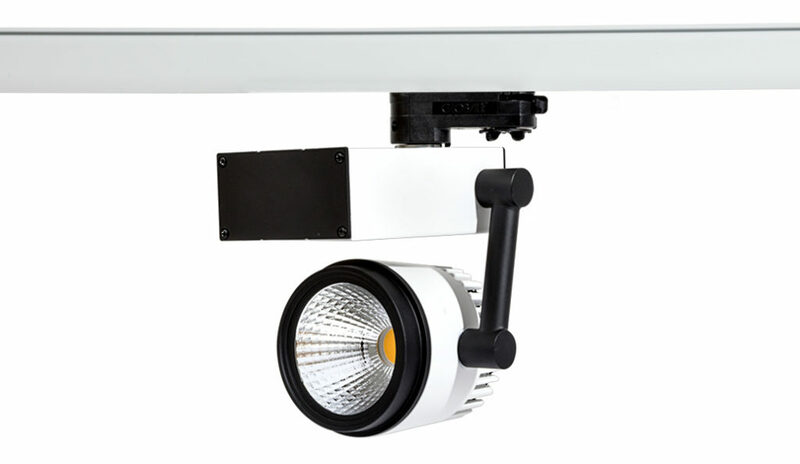 The durable Hydra LED was selected for the shop’s stores offering IP65 protection to light impact, as well as dirt, dust and water ingress. 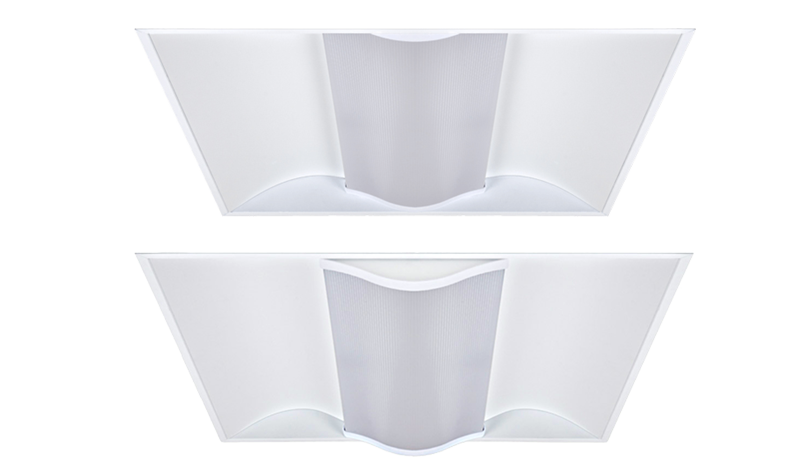 By combining the long life and reliability of its Lumileds LEDs with a glass reinforced polyester housing and polycarbonate diffuser, the weather-proof and non-corrosive luminaire offers a hassle-free, low-maintenance solution for busy storage areas and is ideal for installation in locations where access is difficult to perform routine maintenance. All products (excluding the Hi-Track LED) were provided with integral self-test (also available in auto-test) emergency functions and were supported by standalone BS EN 60598 compliant LED fittings such as the efficient and low-maintenance AME LED emergency bulkhead for extra coverage and the EXI LED for clear emergency signage.